Please note that the Mako boats may not be in stock. Supply times depend on the Mako factory. BoatHoist have now teamed up with Makocraft to offer the very best cartopper package on the market. 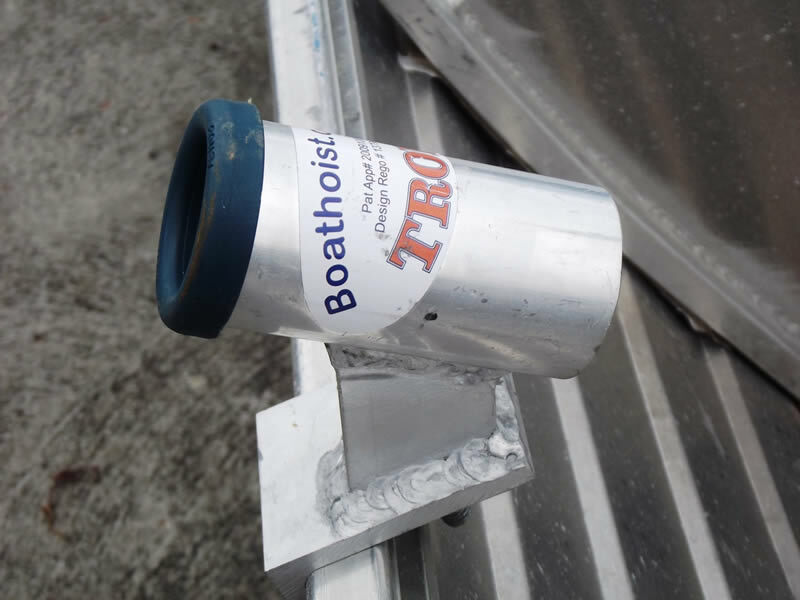 The BoatHoist electric SideWinder Boat Loader is widely recognized as the best boat loader in Australia, 12 volt electric winch with remote control, rated to load 130kg and solid all aluminum construction our side boat loader makes loading your boat a pleasure, not a chore. The Mako 3.76 Topper Tracker is with out doubt the best cartopper boat on the market, a stable dry boat with high sides and rated to carry 4 people and still weighs under 90kg with all the extras. 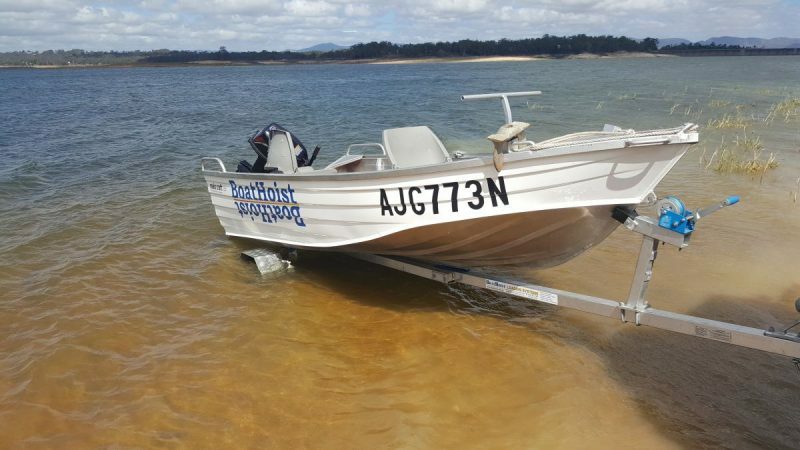 Both the BoatHoist boat loader and the Custom Mako 3.76 are Australian made and set a new standard for cartopper boating systems in Australia. 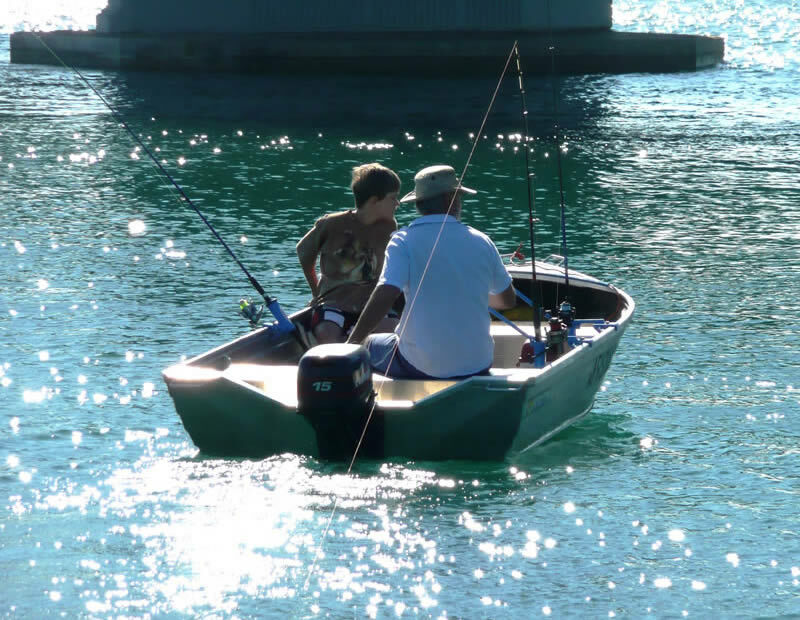 With over 25 years experience fishing out of small boats in Northern Australia we have customized the Mako with all the extras that you need to make boating a pleasure. The full length grab rails give you that extra height making the boat over 700mm deep and gives you and your passenger something to hold on to. The side pockets with the extra storage are a must have on any boat. A center floor covered with marine carpet adds that touch of comfort. With the front seat set further back than most boats this leaves room for a large 600mm x 850mm casting deck covered in marine carpet, perfect for flicking lures or something solid to stand on when retrieving the anchor. 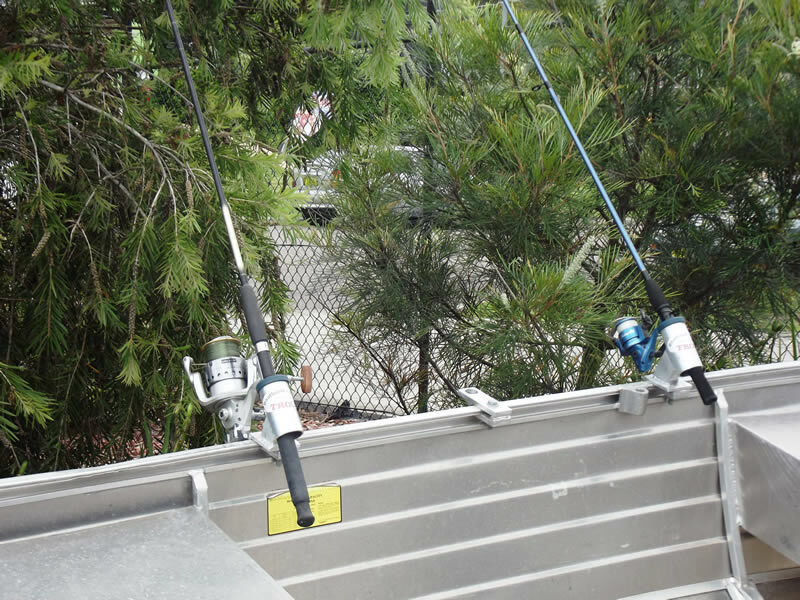 Our new movable T-bar is a great innovation that your fishing partner will love. Set at thigh height you can balance against it when fishing or pulling in the anchor. It can also be moved to either side of the boat at the center of the side pockets and makes moving around or getting into the boat so much easier. The front shelf is 300mm deep with and gives heaps of dry storage area. Two front rocket launches at either side of the front shelf lets you store the anchor up off the floor where it is easy to get to, they also make handy fishing rod holders.